Anna Quindlen (born as Anna Marie Quindlen in Philadelphia, Pennsylvania, U.S.) is a famous Journalist from USA, she is 66 years old and still alive, born July 8, 1952. 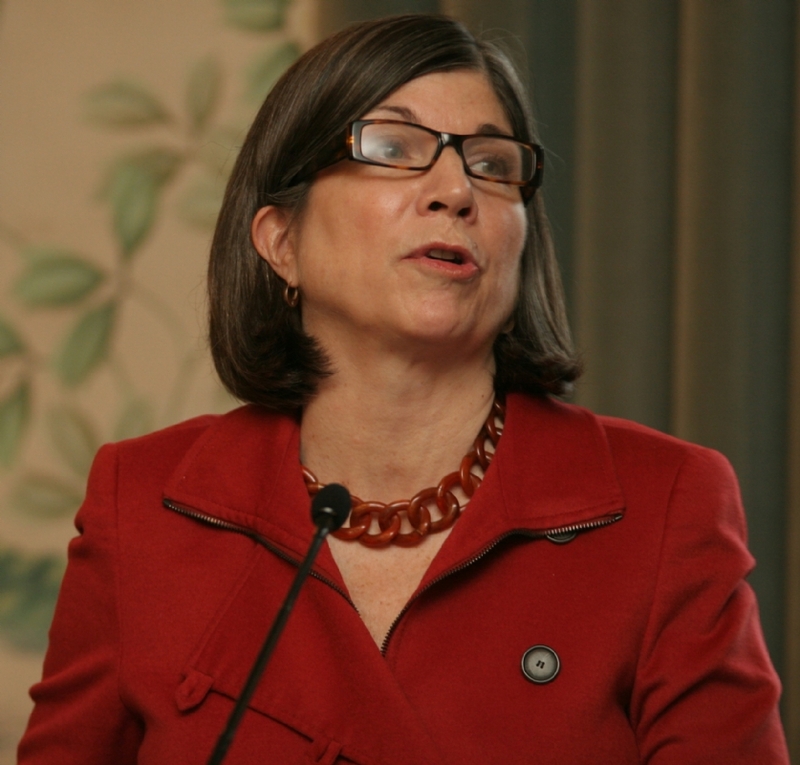 Anna Marie Quindlen is a writer and American journalist. She is known for his criticism of the increasingly materialistic nature of modern American life. One focus of her work is her own mother, who died at age forty, a victim of ovarian cancer, when Quindlen was nineteen years old. Formed at Barnard College in New York, she began her career in 1974 as a reporter for The New York Post. Her opinion column Public and Private in the New York Times, has won the Pulitzer Prize for Commentary in 1992. In 1995 Quindlen left journalism to become a full time novelist. Between 1999 and 2009, she worked for Newsweek writing a biweekly column. Of her five novels, three have already been adapted for film. One True Thing, which inspired a movie of the same name in 1998. Meryl Streep performed in this move and received the Oscar for Best Actress in this movie. She is married to Gerald Krovatin (attorney) and has three children. She is born under the zodiac cancer, who is known for Emotion, Diplomatic, Intensity, Impulsive, Selective. Our collection contains 34 quotes who is written / told by Anna. "There is something so settled and stodgy about turning a great romance into next of kin on an emergency room form, and something so soothing and special, too"
"The thing that is really hard, and really amazing, is giving up on being perfect and beginning the work of becoming yourself"
"There is only room in the lifeboat of your life for one, and you always choose yourself, and turn your parents into whatever it takes to keep you afloat"
"The problem... is emblematic of what hasn't changed during the equal opportunity revolution of the last 20 years. Doors opened; opportunities evolved. Law, institutions, corporations moved forward. But many minds did not"
"Ignorant free speech often works against the speaker. That is one of several reasons why it must be given rein instead of suppressed"
"If you want something, it will elude you. If you do not want something, you will get ten of it in the mail"
"If I get the forty additional years statisticians say are likely coming to me, I could fit in at least one, maybe two new lifetimes. Sad that only one of those lifetimes can include being the mother of young children"
"If God had meant Harvard professors to appear in People magazine, She wouldn't have invented The New York Review of Books"
"Ideas are only lethal if you suppress and don't discuss them. Ignorance is not bliss, it's stupid. Banning books shows you don't trust your kids to think and you don't trust yourself to be able to talk to them"
"Ideas are like pizza dough, made to be tossed around"
"I'm sure not afraid of success and I've learned not to be afraid of failure. The only thing I'm afraid of now is of being someone I don't like much"
"I would even go to Washington, which is saying something for me, just to glimpse Jane Q. Public, being sworn in as the first female president of the United States, while her husband holds the Bible and wears a silly pill box hat and matching coat"
"The issue is privacy. Why is the decision by a woman to sleep with a man she has just met in a bar a private one, and the decision to sleep with the same man for $100 subject to criminal penalties?" "The greatest public health threat for many American women is the men they live with"
"The future is built on brains, not prom court, as most people can tell you after attending their high school reunion. But you'd never know it by talking to kids or listening to the messages they get from the culture and even from their schools"
"The clearest explanation for the failure of any marriage is that the two people are incompatible; that is, that one is male and the other female"
"Somewhere between a third and a quarter of all people living in America today were born between 1946 and 1965 and if you think you're tired of hearing about us, you should try being one of us"
"People always blame the girl; she should have said no. A monosyllable, but conventional wisdom has always been that boys can't manage it"
"New York City has finally hired women to pick up the garbage, which makes sense to me, since, as I've discovered, a good bit of being a woman consists of picking up garbage"
"Look back, to slavery, to suffrage, to integration and one thing is clear. Fashions in bigotry come and go. The right thing lasts"
"Life is not so much about beginnings and endings as it is about going on and on and on. It is about muddling through the middle"
"In the family sandwich, the older people and the younger ones can recognize one another as the bread. Those in the middle are, for a time, the meat"
"I would be the most content if my children grew up to be the kind of people who think decorating consists mostly of building enough bookshelves"
"I would be most content if my children grew up to be the kind of people who think decorating consists mostly of building enough bookshelves"
"I will never understand people who think that the way to show their righteous opposition to sexual freedom is to write letters full of filthy words"
"I realized that, while I would never be my mother nor have her life, the lesson she had left me was that it was possible to love and care for a man and still have at your core a strength so great that you never even needed to put it on display"
"I read and walked for miles at night along the beach, writing bad blank verse and searching endlessly for someone wonderful who would step out of the darkness and change my life. It never crossed my mind that that person could be me"
"I once wanted to be a personage. Now I am comfortable being a person"
"Here is the real domino theory - gay man to gay man, bisexual man to straight woman, addict mother to newborn baby, they all fall down and someday it will come to you"
"Even as we enumerate their shortcomings, the rigor of raising children ourselves makes clear to us our mothers' incredible strength. We fear both. If they are not strong, who will protect us? If they are not imperfect, how can we equal them?" "But it's important, while we are supporting lessons in respecting others, to remember that many of our youngest kids need to learn to respect themselves. You learn your worth from the way you are treated"
"America is a country that seems forever to be toddler or teenager, at those two stages of human development characterized by conflict between autonomy and security"
"All parents should be aware that when they mock or curse gay people, they may be mocking or cursing their own child"
"A finished person is a boring person"